ngiN: "Cache is obviously a good map for us, but we need to keep working on it"
Space Soldiers were the first team to earn a spot in the semi-final of the WESG EU & CIS Regional Finals, beating EnVyUs earlier today. After that series, we talked to Engin "ngiN" Kor about playing with DESPE and the changes the team underwent. 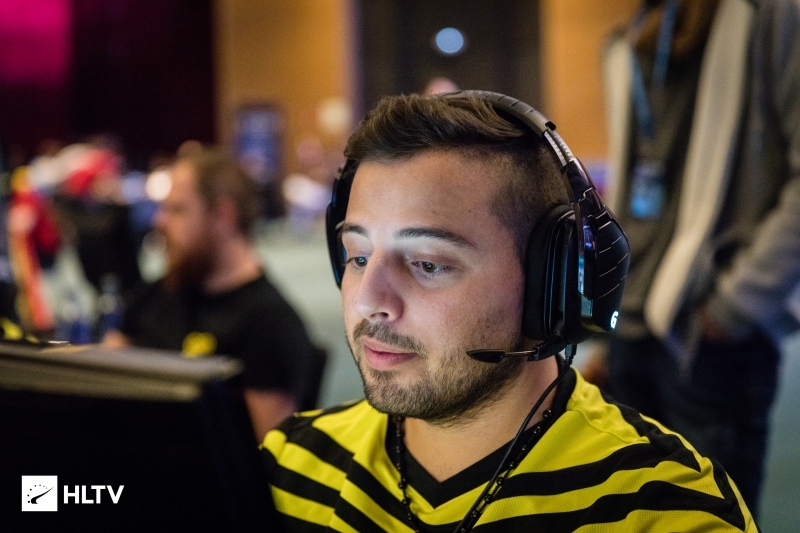 Space Soldiers, who won the European Minor, continue their impressive run by taking yet another victory over Envy and securing a top-four placing at the tournament in Barcelona. In a chat with Engin "ngiN" Kor, we learned more Space Soldiers' role changes and their home map Cache. As we know paz is not here, is there any more info about him, what's going on, when he will be back? It's a personal issue, he will come after WESG, he will for sure play the Major Qualifier. He will be there, but that's all I can say. I want to touch on the matches you played online while having DESPE now, the qualifier for DreamHack Winter and the playoffs of ESEA Premier, where you lost to eXtatus. Was the change of a player a big impact in that struggle you had here? Of course, a lot of things changed in the team, for me personally as well because I needed to take the role of paz, the entry killer, it changed a lot for me. Also for DESPE , because it was a new system of play. But we are trying to do our best in this setting. What is the short term plan now with DESPE, before you didn't have an AWPer so you had to work around it. Are you trying to use the AWP more now, as a team, or are you just staying the old style? When we played without DESPE, when paz was in the squad, we were switching the AWP on all the maps. Sometimes I am AWPing on the map, sometimes it Calyx, sometimes it MAJ3R, AWPing on Mirage. Now when DESPE came into the lineup, he is playing the AWP, so yes, some little things change on some setups, on some maps, and we try to with to adapt to it. With that in mind, coming here, what were the goals for your team? You won the Minor, did you have similar expectations to do well here? With DESPE here, the first goal was to qualify for China, it was the most important thing to do. After that, we said to ourselves that everything else is just a bonus, let's go as far as we can. A game I want to touch in particular, from the group stage, is the Wololos game. At the time it seemed like you threw away the lead and now we saw them do the comebacks on the CT side three times. What is going on with their Overpass CT sides, why are they so good? It's really strange, they did it against BIG, they did it against us and they did it against Ukraine. I think that they have a playstyle where they are playing like a turtle, for example, on B, when we go there we see nobody, they are playing passive and smoking and we try to search for them, but they play very great. They play like a team, it's surprising because they are a mix. I think they have a good mentality also, because when you come back like this you need to be strong in the head, so congratulations to them. I want to touch on one of your maps, one you have a 100% win rate on LAN on and that is Cache. 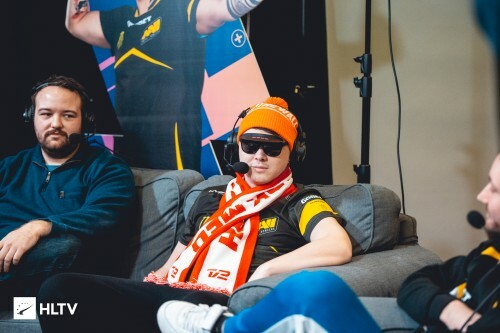 We saw you pick up three wins on it here, why do you feel you are so good on that map, are you particularly comfortable or is there something else? I don't know why we are so good on Cache, probably because we are very confident, individually, on it. That plays into it a lot. We are a team that relies on confidence a lot, so that is something that we need. I think every team has a good map and Cache is obviously a good map for us, but we need to keep working on it because sometimes we did some mistakes on both the CT side and T side. You have a great record against EnVyUs, seemingly picking up wins every time you meet. The same thing happened now, what's the rivalry playing against them, what's it like? I think that they have dificulties winning against us because we have a playstyle that is not good for them. Sometimes this happens and I'm happy that that is the case. Space Soldiers have been looking inconsistent lately, hopefully they can find the form they are capable of! why ENVY let SS play cache everyfucking time :D can someone explain ? Their mirage is like Space's Nuke, they always insta ban it. And in fact cache is one of their best map but they are not good as SpaceS. But when you lost all cache matches you played,you need to take a risk.Ban and think another solition for this. Keep going bros. we are proud of you. Work hard, listen each other, push forward. Finally, the success will come automatically.